Rickmers Singapore – Owners cabin – approx. end of July (current ETS July 25, 2014, but subject to change). Fare including dues & taxes = €1,155 (about $1,635) per person. Rickmers Dalian – Double cabin 513 – approx. late September/early October (current ETS Philadelphia September 25, 2014, but subject to change). Fare including dues & taxes = €1,035 (about $1,465) per person. 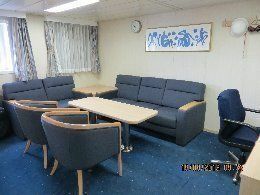 Rickmers Shanghai – Single cabins 611 & 604, Owners cabin and Cabin 513 – approx. late October/early November (current ETS Philadelphia October 21, 2014, but subject to change). Fares including dues & taxes = €1,035 (about $1,465) per person for 513 and €1,155 (about $1,635) per person for Owners and singles. Part of Rickmers Pearl String Round-the-World service, passenger bookings are also available from Philadelphia to Genoa, Houston to Antwerp, Houston to Genoa, Singapore to USA and Singapore to Europe. 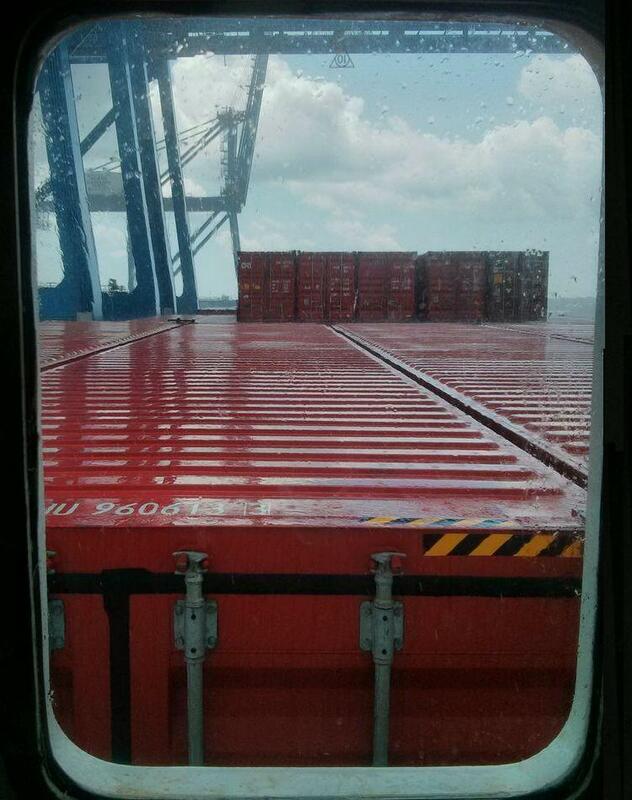 These voyages involve more port time and fewer containers obstructing the views. 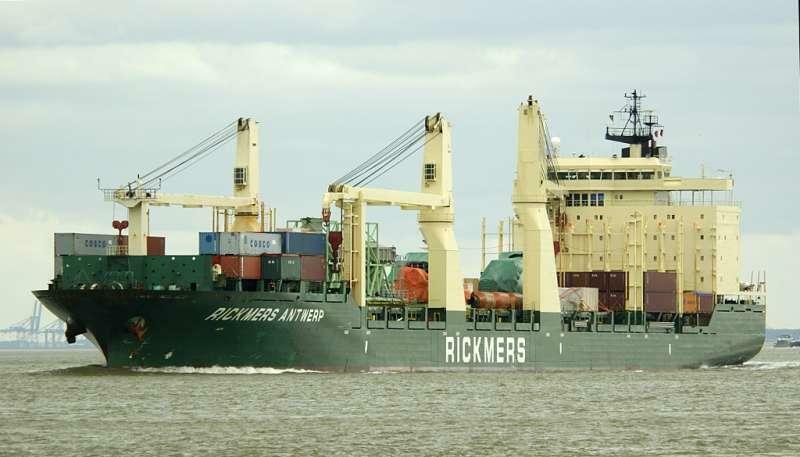 For further information on passenger voyages on Rickmers Line multi-purpose cargo ships please call Miri Lopusna at The Cruise People Ltd in London on 020 7723 2450 or e-mail cruise@cruisepeople.co.uk. Cruise People client Scott Muc sailed from Wilmington NC to Antwerp in the Independent Accord. Link here to Scott’s website. June 24th, 2014. 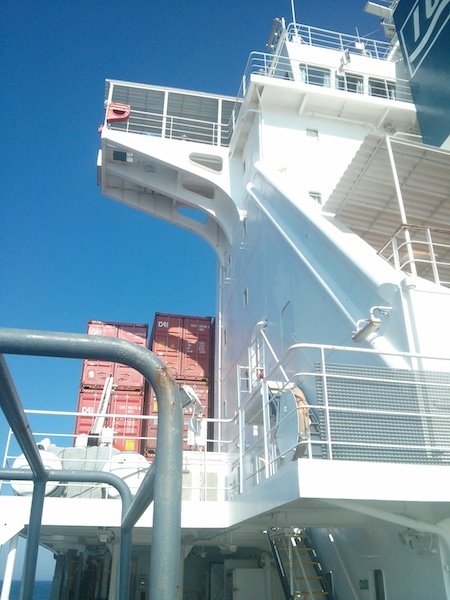 I have finished the crossing of the Atlantic Ocean via container ship. It was a great experience that I’ll happily do again. 11 days wasn’t enough, and I would be happy to spend a month next time around. A blog post probably wouldn’t do the experience justice so I decided to play around with a basic word game engine to give you a more self-directed tour. Hope you enjoy it! The ship was run by a crew of 21, all male. The captain was Romanian and the rest of the officers were Croatian. The chief engineer was Ukrainian and the rest were Filipino. Everyone was very nice, but when asked for their name, they simply asked to be addressed by their position (Third, Chief, etc…). Offline map – I would have liked to better explore the route and plan the rest of my trip better. Being disconnected from the world for 11 days was a far better experience than I had expected. It’s made me realize I need to create a habit of disconnecting. It brought me back to the era when your computer was offline by default, and you had to explicitly connect to see what’s going on in the rest of the Internet universe. This experience has shown me that I like that. It may sound backwards to a lot of people, but the computer has always been a tool, not an entertainment device (gaming being the exception). My phone may eventually be the only always-connected device, but even then, I turn off all notifications and keep it silent. After a €140 ride through immigration and into Antwerp, I can begin the next phase of my journey! Those wishing to know more about container ship travel can call Miri Lopusna at The Cruise People Ltd in London on 020 7723 2450 or e-mail cruise@cruisepeople.co.uk. Since returning from Australia in November, I’ve been preoccupied catching up with the inevitable consequences of two months’ absence as well as all Christmas and New Years. I do, though, want to let you know how much I enjoyed my “cargo cruise” from Southampton to Port Kelang aboard the CMA CGM Musca. You had, quite rightly, emphasized the need for flexibility in one’s travel arrangements, as there are so many variables involved in the logistics of large container ship movements, some of which demand decisions with short times. Over a long period of time our sailing date had moved from September 11th to the 13th, the 14th, then the 16th and finally the 19th. Just the week before planned embarkation, the Southampton port agent was in contact with me advising that weekend movements in the port were somewhat chaotic due to multiple late arrivals. Musca had meanwhile gone from Rotterdam straight to Zeebrugge rather than calling at Southampton first. Even so, she was held off the Isle of Wight for hours before being allowed into port late on the night of 18th September with a planned departure of 12:00 the next day. The port agent had telephoned me on the 18th to suggest I arrive at the Port Security Office as early as possible because they might be able to set sail as soon as 09:45. None of this caused any problem; in fact, by arriving at the Container Port before 08:00, we avoided all the peak traffic, so my wife had a relaxing journey as my driver. From this point on, I found my expectations were exceeded. It’s a daunting sight to be standing on the quayside looking up at the ship’s gangway running all the way up to the upper deck: with Musca‘s considerable freeboard, the gangway seems to go on for ever – very different to boarding a vessel like the P&O Aurora, where the gangway runs to the ship from high up on the terminal building! I had expected to carry all my luggage (1 large & 1 small case) aboard myself, but the port agent’s minibus driver insisted on taking my large case aboard. Once brief reception formalities were completed, the steward took both my cases along the corridor to the lift and settled me in to my cabin on F deck. To my surprise, although it was now 08:20 and breakfast time was officially 07:00 – 08:00, the steward (Syrel Alimpuyo, from the Philippines, official job title Messman) invited me to come down to the Officers’ Mess, where he prepared a welcome meal of scrambled eggs with all the trimmings. Not that it mattered to me, but we did depart at 12:00. CMA CGM Musca, one of twelve similar vessels on the FAL3 route, is big (11,040 TEUs, Summer DWT 131,830 tons, 347 m LOA) but is eclipsed by the company’s newest 16,000 TEU ships (CMA CGM Marco Polo, Alexander von Humboldt and Jules Verne), themselves now overtaken by Maersk Line’s brand new McKinney Møller at 18,000 TEUs. Even so, to get acquainted with Musca is to understand the huge and sophisticated scale on which the modern commercial world operates. If, like me, you’re interested in these things and prefer in any event not to share your transportation with thousands of other passengers, this is a remarkable and privileged experience. Musca has four double cabins on F deck (three face forward and one aft), the penultimate deck level before the bridge, and above container load height. 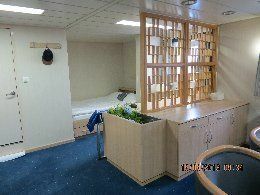 Only the captain and chief engineer have their cabins and office on G deck, together with a Pilot’s cabin. On this voyage I was the only passenger, so not only did I have a very spacious cabin all to myself, but the entire passengers’ recreation lounge as well..
CMA CGM Musca is very typical of the international multiplicity which characterizes the maritime industry: French company owned and operated, registered in London (a port she never visits) and thus subject to British merchant marine regulations, captain and officers mainly Croatian plus Ukrainian and Filipino, lower ranks Filipino, official language on board being English – and there were notices on display reminding people of this fact. .. 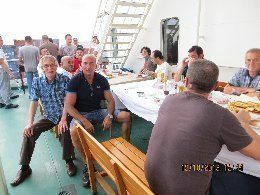 Understandably, when a bunch of Croatians come together at lunch or dinner, they will speak their native language, often quite excitably; but, since the Ukrainians and Croatians did not speak each others’ languages, there were usually interludes of English conversation, and the captain was always attentive to bringing me into discussions from my adjacent table. I can handle Italian, German and French , but none of their languages. The Filipino officers usually seemed to work differential shifts and took their meals in the crew mess, but I was struck by the polite and friendly behaviour of all 28 members of the ship’s complement..
Hospitality on the bridge, to which I had almost unrestricted access, was very enjoyable, where I could study the output of the control and navigation systems, monitor the charts and look up all manner of maritime details in the extensive library of reference manuals – and the watch officers competed with each other to make the best espresso or cappuccino with their fresh coffee machine. 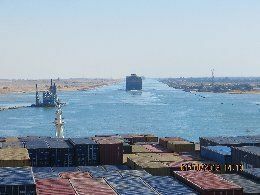 I had expected the bridge to be out of bounds to me when a pilot was on board, but was delighted to be there during the Suez Canal transit – it might well have had to be different had there been several other passengers. On the first full day at sea I was given a very comprehensive introduction to and tour of all facilities and stations relevant to on-board safety and emergencies. Quite apart from the emergency procedures summarised in a folder in my cabin, together with hard hat, ear defenders, and full immersion suit, the formal safety introduction included familiarisation with one of the two fully enclosed lifeboats, as well as a visit to the “citadel”, which is a large secure facility accessed via the stern lower deck. The citadel’s purpose is to provide impenetrable protection for crew (and passengers) in the event of a hostile boarding: while the ship cannot be navigated or controlled from there, it does contain all forms of marine communication for continuous contact with emergency agencies, both military and civilian. During our voyage to Port Kelang Captain Dakic organised two fire fighting emergency drills which were formally timed with all appropriate reporting and subsequent debriefing. There is no substitute for the reassurance of knowing that everyone is quite clear what they have to do in the event of any type of emergency. While it is quite unlikely that anyone could actually manage a seaborn hostile boarding of a ship the size and design of Musca, all CMA CGM vessels operating in known areas of high risk are equipped with very effective anti-grappling devices around the stern lower deck – trained Royal Marine Commandos have failed to get past these, even when stationary in calm water. When we passed through the Gulf of Aden a full lighting blackout was enforced, which meant all illumination except navigation lights was made invisible from the outside. Again, the guiding principle was to make no convenient assumptions and to take nothing for granted..
My main motives in choosing to travel by container ship rather than simply catching an aircraft from London to Perth, Western Australia (my ultimate destination) were: to enjoy the peace and rest of a long sea voyage, get plenty of sea air, pass gradually from one time zone to another, read and write at leisure, observe how these giants of the sea operate and how their crews live, and to eat three square meals a day – the latter being something I rarely do at home, despite being one of the minority who could actually benefit from gaining some weight! I can say with confidence that these objectives were all very well served – my only regret being that Musca couldn’t take me all the way to Perth.. I did miss two meals during my 26 days on board: a breakfast one morning when I overslept (though Syrel subsequently reminded me that I could come down to the Mess at any time to get cereals, toast and coffee), and a dinner one evening when I simply had no capacity for any more food, settling instead for some fruit. The meals were good and varied, with some amusing Filipino versions of the menu descriptions (e.g. Chicken Gordon for Cordon Bleu, Crockets for Potato Croquettes, Leche Flan which proved to be Creme Caramel). Captain Dakic occasionally influenced the choice of menu by calling for fish as well as meat, and bringing out the ice cream or the blue cheese. Wine was usually served with dinner, with the alternative of German lager if preferred – the only exception being while we were in port at Jeddah, when all alcohol had to be locked away in the ship’s bonded store: “Saudi prohibition”, as the captain ruefully described it! On two or three occasions meat was barbequed in a surprisingly large semi-enclosed BBQ facility on E deck: there was room enough for the crew to sit and eat in the same facility, while the officers and I were served in the Mess..
Keeping fit is a matter to be taken seriously when you’re at sea for months on end. If you take two tours of the upper deck on Musca, you will have walked 1.5 km. For me as a passenger, I was required to contact the bridge first, so they could advise me of any work in progress on the upper deck and they would be aware of where I was going; I would then let them know when I returned. One would not normally be allowed on the upper deck after dark or in extreme weather conditions and certainly not when cargo operations were underway in port. Common sense is required on deck at all times, as much of the time no one will be able to see you – least of all from the bridge. I always made a point of walking down from F deck to B deck for all meals, though it was a tall order to walk back up again after three courses, so the lift was usually preferred afterwards.. The alternative, though, was the gymnasium – well equipped with treadmill, weights, punchbag, as well as table tennis and darts – although the most impressive sight was the oldest crewmember, the 61-year-old chief engineer, jogging round the upper deck. He did this most days, irrespective of the high temperatures, finishing by returning to his cabin on G deck via the external stairs. Even though I’m seven years older, he made me feel quite inadequate as I smiled at him through the window from my air conditioned comfort in the passenger lounge. Then, if you’re not hot enough, there’s always the sauna! Better still was the lure of the swimming pool, freshly filled with seawater pumped up from the Red Sea at 32°C..
Management gurus will always emphasize the importance of teamwork and bonding when considering how the best organisations operate. A real sense of mutual support, as well as personal commitment, was very evident aboard Musca, and there is always plenty for everyone to do, both mundane as well as technically complicated – in fact, it is remarkable that a complex vessel of this size, running 24/7, only requires a crew of 28. Officers and crew rotate at different intervals, from three months to as long as nine or occasionally twelve, so individuals go on leave and are replaced on a continuous rolling basis. Any running repairs are handled according to circumstances, with any major works being undertaken in port where, if necessary, additional spare parts might have to be made available. The ship does, though, carry a wide range of spares: I even noticed a new piston and connecting rod in the engine room. If additional skills and manpower should be required, company engineers are flown out to join the ship at a port of call and will stay aboard for as long as it takes..
An on-deck BBQ party was organised one evening as we cruised across the Indian Ocean – this was on the starboard side of F deck, which was large enough to have a big portable BBQ and tables and benches for all to be seated. Several of the Filipino crew were keen amateur musicians and there was no shortage of entertainment, much enjoyed by all. I was quite surprised by the number of guitars on board, together with microphones, amplifiers and speakers. 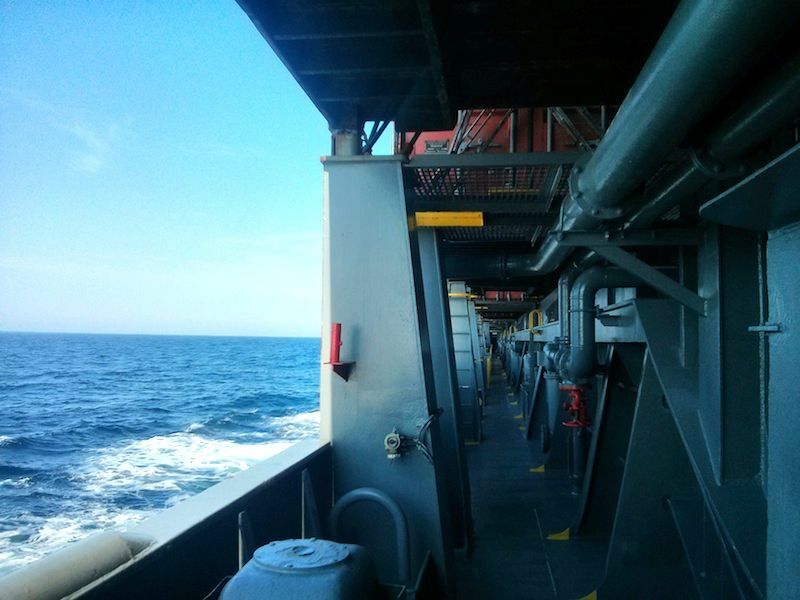 Making your own amusement is a valuable skill..
Extended cargo operations which seemed to go on forever in both Beirut and Jeddah made a further dent in our schedule – and we had waited a whole day outside Beirut pending clearance to get in on a berth. Such are the routine frustrations confronting these ships – even if the vessel is ready to go, you’re still dependent upon tugs and pilot. While the plan had been to arrive at Port Kelang on 13th October (having originally been the 11th), we were only able to get there on the morning of 15th October. 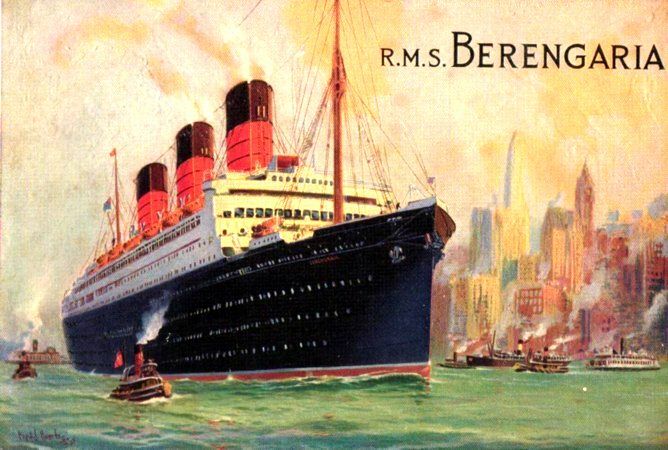 What had originally been anticipated as a 28 day voyage had been replanned at 24 days when the Southampton and Zeebrugge calls were reversed, but had gone out again to 26 days due to the further delays. CMA CGM’s operations manager responsible for the FAL3 route had once told me all his ships had operated to schedule over the last two years; I know now how he did that: by moving the goalposts! To be fair and realistic, I don’t envy him the constant challenges of his job though. As things worked out, I had no regrets at all..
Captain Dakic had offered me my own on-board email account quite early on. I didn’t do this, as I didn’t want to encourage a flood of incoming messages, especially those of a casual nature. Instead, at his invitation, I used his email account to keep my wife up to date, to confirm progress with a friend of mine who had been trying to track the ship on-line via AIS – impossible between Suez and the Malacca Strait unless you can justify the cost of Satellite AIS – and to contact the hotel I had prearranged in Kuala Lumpur. When I disembarked, most crew-members made a point of saying farewell and wishing me luck, and they insisted on carrying my luggage down to the quayside. The captain had also taken it upon himself to negotiate with the Port Agent in Port Kelang for him to get me to central Kuala Lumpur after taking me to the Malaysian Immigration Office outside the port for passport formalities. This the agent did for US$20, good value considering how far he drove me and the 1¼ hour Kommuter train ride, for which he paid, and which deposited me just 100 metres from my hotel. It’s not the captain’s job to do these things, but these people know how to use their contacts and get things done.. The humidity in Kuala Lumpur was very oppressive and , while I had intended to look around for a couple of days, I was not displeased to be on a flight to Perth the next day. After a month in Australia, winding up in Sydney, I was, however, less than thrilled to be subjected to 24 hours of flights to get back to the UK. Where was Musca when I needed her?. Any regrets? Well, I should have chosen to do an engine room visit in port rather than at sea, if only to make it easier to have a conversation – though it was reassuring to see the huge propeller shaft actually turning! Would I do such a voyage again? Without hesitation!. 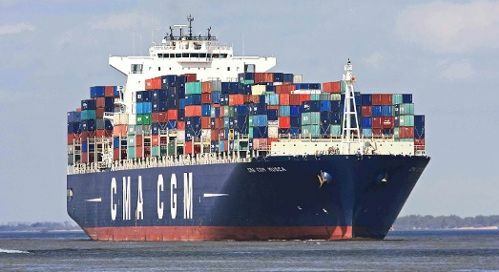 For details of how to book a cargo ship voyage with CMA CGM please contact Miri Lopusna at The Cruise People Ltd in London on 020 7723 2450 or e-mail cruise@cruisepeople.co.uk. The Cruise Examiner for 16th June 2014.. This week, two interesting cruise reviews have arrived on our desk, one for the Pacific Princess, which is this summer offering 7-night round voyages from Vancouver to Alaska, the first time Princess has offered this itinerary in a decade, and the second on a coastal segment of Crystal Symphony’s Transatlantic voyage from New York earlier this month. For a change, and as they are both recent and topical, we thought readers might enjoy reading them. 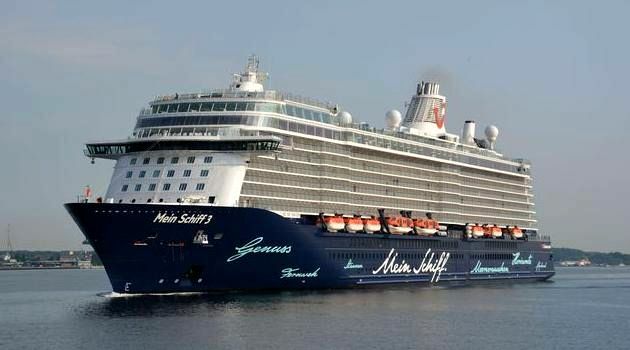 Finally, we bring news of the maiden voyage for TUI Cruises’ new Mein Schiff 3, delivered in late May by STX Finland. If you’re going to sail from Vancouver on an Alaska cruise then by all means stay at the Rosewood Georgia Hotel before sailing. This art deco hotel, completed in 1927, has a complimentary classic Bentley limousine that can deliver you in great style to Canada Place to catch your ship. Because the Pacific Princess carries only 680 passengers, the boarding process is more relaxed than for one of those behemoths with between 2,000 and 4,000 passengers. There are eight of this smaller class of ship in service, all having been built between 1999 and 2001 for the defunct Renaissance Cruises. 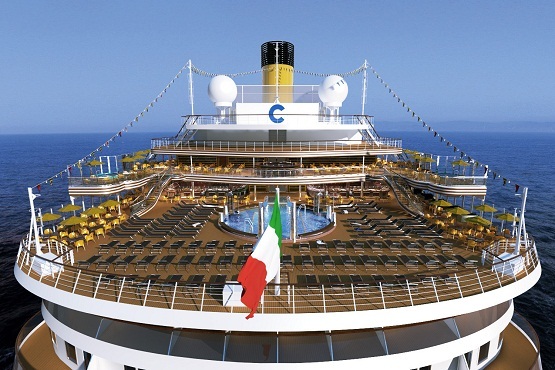 Three operate for Oceania Cruises, two for Azamara Club Cruises, one for P&O Cruises and two, the Pacific Princess and the Ocean Princess, for Princess. 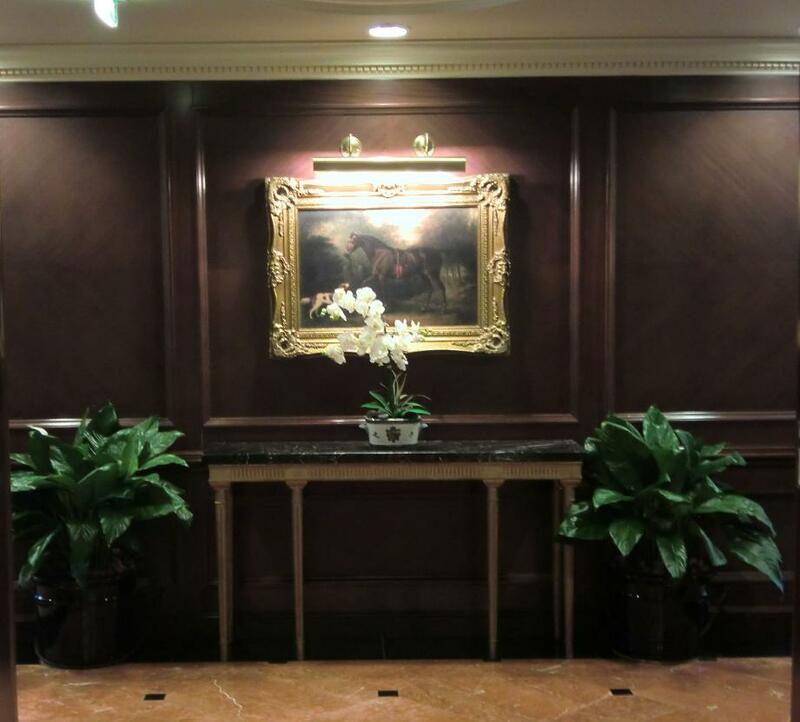 Having travelled on sister ships with three other lines, we quickly found our way to our balcony stateroom. What better way to see Alaska than this, on a small ship with no crowds and a private balcony for whale watching? The standard balcony cabins are slightly short on space at 173 square feet (216 including the balcony) compared to some other ships, but quite suitable for a 7-night cruise. The closets feature real wooden coat hangers but this class of ship has never overcome the colliding doors of its closets and the en suite shower directly opposite. Princess’s bathrobes, meanwhile, leave a little to be desired, all seeming to have shrunk from too much washing. They could hardly stretch around a standard-sized person, let alone someone who might be fond of eating. The balconies on the Princess ships are finished in blue plastic marine decking rather than the teak found on Oceania. But other than such small quibbles, this is a great little ship and the service is enthusiastic. Getting to know the crew later, we found that the Pacific Princess’s officers are mostly Italian and the crew International. Assigned to the same table for dinner each evening, we got to know our fellow passengers, but also our waiter and station captain who thrived on coming up with special requests such as the Indonesian hot chili sauce Sambal Oelek we requested to go with our lobster the next night. Duly consulting the Indonesian sous-chef, they came up with a gravy boat full of this specialty sauce that our whole table enjoyed. I doubt we would have got the same service on the larger ships in the Princess fleet. Pacific Princess’s public areas have been well maintained and live up to their original reputation as country houses at sea (left), the grand staircase still being at the centre of the ship. There is a modest cabaret lounge for this number of passengers, a great view forward from the Pacific Lounge atop the ship, main dining room in the stern and two alternative restaurants above, as well as the buffet restaurant on the pool deck that features an open air area overlooking the stern, not to mention the very classy library at the top of the main stairwell overlooking the pool from its aft perch. And on the main passenger deck, in addition to the photo gallery and two shops, there is a casino with its attached but separate Casino Bar with nightly entertainment as well as the Club Bar next to the main restaurant. Once aboard, there is quite a lot of pressure to buy a wine package as well as a ticket for the next day’s wine tasting session, but there is no drinks package on Princess’s two small ships. Nevertheless, compared to some other lines it is possible to get a drink for between $5.75 and $7.50 plus 15% gratuity, and a bottle of Chianti for $30 (plus 15%) for dinner. The drinks bill for two for our cruise was $305 and the wine package $185 for 7 nights, totalling $490, or $35 per person per day including gratuities. By comparison, the drinks package on Oceania Cruises runs to $50 per person per day. More quibbles: Internet on Pacific Princess ran to $204 for a week for their most extensive package. The extra tariff restaurants now charge $25 per person. The public washrooms could use more frequent service. And the music could be updated by three decades from 1950s-70s to 1980s-2000s. Overall, however, with the passengers she attracts, the Pacific Princess is a pleasing ship. The crew is solicitous and friendly and, with no crowds, the passengers are interesting and not loud. Many had actually booked this cruise because they had tired of larger ships. Canadians (182 passengers or 27.8% of the ship) formed the largest group on board and Americans (157 and 24%) came second, while there were many Brits (113 and 17.3%) and Australians (117 and 17.9%), making it a sort of Commonwealth at sea. The Americans were mostly Californians and Midwesterners plus some Texans and there were also 85 (13.0%) of other nationalities (of which there were 29) with quite a few Chinese. Total passengers: 654. The ports of call on our cruise were Juneau, Skagway, cruising Glacier Bay and Ketchikan. While there are plenty of helicopter, float plane and glacier tours available, by far the most interesting for us was the White Pass & Yukon Route narrow gauge railway excursion (left at Skagway, dockside), which runs from Skagway through the White Pass into Canada before returning to Alaska. Built at the time of the Klondike gold rush, the railway reopened in 1988 as a seasonal tourist attraction and now serves about 370,000 passengers a year between May and September. The White Pass, which operates on the first 67½ miles (Skagway to Carcross, Yukon) of the original 110-mile line to Whitehorse, is today Alaska’s most popular shore excursion. 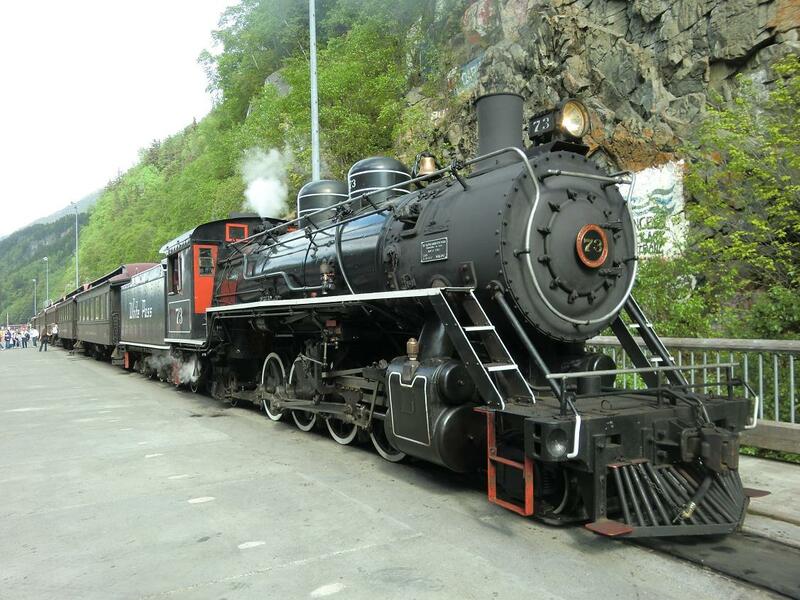 The line rises 2,865 feet in 26 miles of steep grades and cliff-hanging curves on the way up from Skagway to the summit and passengers experience a breathtaking panorama of mountains, glaciers, gorges, waterfalls, tunnels, trestles and maybe even the odd bear. All this while riding in the comfort of vintage parlour cars equipped with open platforms at each end. The White Pass rail fleet includes twenty diesel-electric locomotives, seventy open-deck parlour cars and two steam locomotives. The steam train excursion takes four hours and when purchased ashore costs $159, the diesel-electric ones three to three-and-a-half hours and $119. Trains come right alongside the ship at Skagway docks. Aside from the White Pass, there was Glacier Bay and its many different glaciers, Orcas and humpback whales aplenty and seals and eagles, and in Ketchikan, Annabelle’s on Front Street cannot be missed for its fine seafood chowder! Among the four ports and points of interest this makes for an excellent cruise with lots of variety (apart from the ubiquitous jewellery shops at all the ports of call). And the air is very fresh. The Pacific Princess offers eighteen 7-night cruises from Vancouver to Alaska this summer, every Tuesday until September 9, the first time Princess Cruises has offered round trip Vancouver-Alaska sailings for about a decade. On September 16, she sails for Hawaii on her way to the South Pacific. Oceania Cruises’ Regatta offers six 7- to 10-night Alaska cruises from Seattle, one 10-night Alaska cruise from Seattle to Vancouver, one 9-night Alaska round trip from Vancouver and a 10-night Alaska cruise from Vancouver finishing in San Francisco. For futher details or bookings please call The Cruise People Ltd in London on 020 7723 2450 or e-mail cruise@cruisepeople.co.uk or in North America 1-800-961-5536 or e-mail cruise@thecruisepeople.ca.